Whether by luck or cunning, YouTube TV’s banner ad and Fox’s camera angle combined to put the familiar red-and-white “Play” button right in the center of viewers’ screens, creating the illusion that they were seeing a YouTube video queued up and ready to start. Some fans loved it, and some hated the distraction. But every red-blooded American watching the World Series noticed it. YouTube TV was launched in April, 2017. The idea is to stream live and on-demand TV to subscribers for around $35 per month. That would be a godsend alternative to cable TV bills that cost American households over $103 per month right now, on average, if it can include the content that viewers want at such a price. You can sign up and watch free for 7 days, to see what YouTube TV offers in your area. The premium YouTube TV offering is now available in 49 of the top 50 TV markets in the USA; you can check here to see if your city is one of them. About half of American households are covered. Anyone can watch YouTube TV anywhere there’s Internet access, but to get local programming like news, you need to be in one of the covered areas. YouTube TV does have an impressive channel lineup from major broadcast networks, popular cable networks, and premium networks. Networks currently available on YouTube TV include ABC, CBS, NBC, FOX, AMC, BBC, Bravo, CW, Disney Channel, ESPN, FOX News, Fox Sports, FX, MSNBC, Nat Geo, many regional sports networks, and others. You can watch YouTube TV on your smartphone, tablet, or with a web browser on your computer. 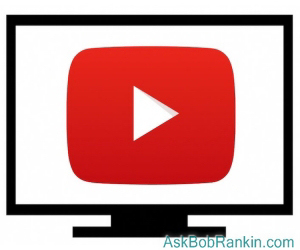 You can also watch YouTube TV on your TV using a Chromecast device, a TV with Chromecast built-in, or via AirPlay for Apple TV. Roku is not yet supported, but is said to be coming soon. Another nice feature is YouTube TV's "Cloud DVR" which lets you record your favorite shows so you can watch them later. You get unlimited online storage for recorded shows for up to nine months. It's a plus that recordings don't take up space on your computer or mobile device, but you do need an internet connection to view your recorded programs. YouTube TV does have some established competition. Aside from Netflix and Amazon Video, which focus on movies and original content, you can get your broadcast and cable TV fix with other cord-cutter options. See my related articles on Sling TV, DirecTV Now, and other cord-cutting options. YouTube’s free service now serves 1.5 billion monthly viewers. That’s a great base from which to build a legion of subscribers. But people are notoriously unwilling to pay for online content. However, even that conventional wisdom is changing. Netflix launched streaming video subscriptions ten years ago. Streaming is now the fastest-growing part of the company’s business. Netflix made paying for online video content mainstream, encouraging others like YouTube TV. Apple’s iTunes normalized streaming music subscriptions, and if you’re going to pay for streamed songs why not pay for streamed TV? Others find that paying for content means fewer intrusive ads on their TV, computer and mobile screens. Surprising many statisticians and pundits, Millennials have taken to paying for digital content faster than their elders. Many 18-34 year-olds have never paid a cable TV bill. They’re even paying for news; digital subscriptions are booming at The New York Times, Washington Post, and The Wall Street Journal. People are finally getting over the “information wants to be free” fallacy; in reality, information is most valuable when it can circulate freely, but it never costs nothing to produce and disseminate it. YouTube TV puts even more pressure on cable and satellite monopolies. Comcast reported in October that it lost TV subscribers faster than it gained new ones during the third quarter, for a new loss of 124,000 subscribers; that figure was 34,000 net lost subscribers in Q2. Also in October, 5 out of the 7 largest cable and satellite TV services lost over 800,000 subscribers combined. Google often tries to jump-start trends. This time, the company seems to have jumped on a bandwagon at exactly the right time, just as it’s accelerating. With Google’s marketing muscle behind it, YouTube TV stands an excellent chance of success, and that success will help other cord-cutting options succeed. Most recent comments on "Will YouTube TV Turn You Into A Cord-Cutter?" The problem still lives in the halls of Congress. Until the internet is treated like a public utility, it will never be resolved. Monthly cost? Zero. You can watch only one thing at a time. Maybe one of these days I might save enough to buy a computer. Always wanted to try one of those things. I've begun "cord cutting," but via an HDMI cable from a computer to my TV. For now, this means using that computer as my remote, but it also means that I can watch anything on or through my computer for free, without any of the security risks of WiFi, Google, etc. Total cost? A little research, a little experimentation, and $26 for the HDMI cable, and I also get all the benefits of hard wiring, especially simplicity, reliability, and security. My local cable provider, Spectrum, offers cable TV, wifi internet and telephone for $29/month EACH. I'm on 'family plan' for cell phone and don't need or want their telephone plan, I've found that I get more watchable Broadcast TV then their heavy on foreign language, sports and so called 'reality' TV. I love Netflix and Amazon which give me choice so I need wifi. Spectrum doesn't offer wifi without tacking on the other two useless, to me, services. So, I'm stuck. How can I get internet and wifi only? I was paying Direct TV $160 per month for a lineup of awful channels. Now I am an Amazon Prime member, Netflix, Tubi TV, Pluto TV and YouTube - all streaming. Virtually no ads. I use the Chromebit dongle to connect to the Net and a keyboard and mouse to control it. I can even get all my Internet, mail and anything from the Internet with this device. (About $100 plus keyboard and mouse). I was on Hi speed Internet anyway so that was not a factor for me. HAPPY BOY! We can get all USA stations including CNN in the UK. Have you ever tried YouTube TV? EDITOR'S NOTE: Yes. Seems to work fine for me. We have a $100 antenna on a 20' pole and get about 60-70 channels for free. That includes stations from the capitol and large coastal city of our state. If one is willing to surf while being a couch potato, there's always something to watch. News and sports at the normal times are always available. That's actually more than we need. I "cut the cord" around 40 years ago. We tried cable TV when it first came to the Phoenix metropolitan area and the cable company never lived up to its promises so we cut it off. Now, with more OTA (Over The Air) programming than I have time to watch, even when recording shows for viewing at a more convenient time, I still don't have time to watch all of the ones I'm interested in. The only thing I use cable for is internet access and I still don't stream any TV shows or movies. I've been using a Mohu Leaf indoor antenna for a few years. Except during stormy conditions, I get a beautiful picture on more channels than I care to watch. For those times when there's nothing I care to watch from the available channels, I use Amazon Prime's Instant Video. What concerns me, though, is the likely rate increases for Internet service. At the moment, I don't have a data cap, but fear that will end, or the overall price will go up. The cable/Internet companies will figure out how to make up for lost revenues sooner or later. @Patricia I have Spectrum Internet Service ONLY. They do offer it, but you have to search to find it and also pay a premium of $59.00 plus fees making the monthly $63.21 for 50 mbs. I had that under Time Warner and kept it when Spectrum took over. I cut out cable TV about 18 years ago. I now stream Netflix and Amazon Prime. I started with Netflix years ago with their CD mailing. I seemed to have missed the part about resolution. HD? 4K? Does anyone know if there is any streaming service in English- in a NON ENGLISH speaking language? For example in France or Spain, but streaming in English. 5 years ago, TimeWarner Cable and Internet was about $130/month in this Western California city. They are a monopoly here nestled in a valley with mountains blocking OTA reception. Got my Spectrum bill today, and howled at the "Cable Gods!" Gotta call them (in the Phillipines no less) and complain since I was supposed to be "grandfathered" in at $170/month for Cable, Internet, and Phone. Greed. Ripoff artists. Would describe them in the more colorful language they deserve, but I won't. If I ever cut the cord, I will probably switch to Kodi for movies and on-demand TV entertainment. Kodi is a free media player. It supports extensions, and there is a great add-on from the Ares Project that makes Kodi very user friendly. All-in-all, Kodi meets most of my TV streaming needs. No one is going to watch television - on a phone! We are seniors and stuck with Comcast for $212.00/month. Alternative, is Verizon FIOS...what's the difference. We have Amazon Fire TV but most of their offerings are subscriptions. So, if you add up fees for subscriptions, the total cost for TV entertainment is about the same. FCC needs to do something about the monopolies of the limited services available especially in metropolitan areas. There are expats and retirees living in Mexico and Canadians that read your articles. Your articles are not always relevant for those people, especially when it comes to streaming content. I see people from outside of the USA are commenting about availability of content. Can you update this article with the availability of content in foreign countries? Are you using a VPN or DNS to get USA content in the UK?